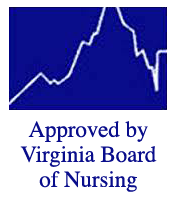 In order to meet the growing demand for Certified Nursing Assistants (CNAs), our company established Moon River Nursing Careers in Ashburn, Virginia. Graduates of the Nurse Aide course will be prepared to take the Board of Nursing exam to become a CNA, There are jobs open nationwide for CNAs in hospitals, nursing homes, assisted living, memory care, medical offices and home health. The aging population will only increase the job prospects for CNAs in the decade. Who should take the Nurse Aide class to become a CNA? Those who want to start a vocational career in healthcare and start working as a CNA. To learn more about becoming a CNA, visit http://moonrivernursingcareers.com or call Betsy at Moon River Nursing Careers at (703) 955-1811. Ask her about the Grand Opening Specials and the Best Price Guarantee for this course. Scholarships and interest-free payment plans!